Deployment of new web applications has been a bit annoying since the birth of ASP.NET MVC. 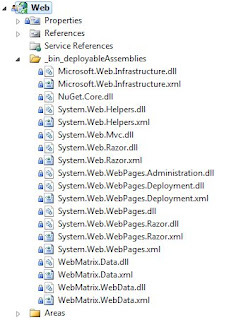 Production servers with .NET 4 or 3.5 installed will still be missing key assemblies such as System.Web.Mvc.dll. This will cause errors such as "Could not load file or assembly 'System.Web.WebPages.Razor, Version=1.0.0.0, Culture=neutral, PublicKeyToken=31bf3856ad364e35' or one of its dependencies" and "Could not load file or assembly 'System.Web.Mvc, Version=2.0.0.0, Culture=neutral, PublicKeyToken=31bf3856ad364e35' or one of its dependencies." when your project is deployed to production. It is confusing for two reasons: Why does it work on your development machine? 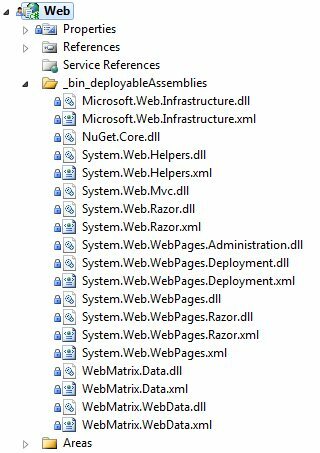 Well, when you install all the tools required to make MVC application you get all the necessary assemblies with it. Which assemblies are your production servers missing? Well there were 3 in ASP.NET 1, 1 in ASP.NET MVC 2 but now with ASP.NET MVC 3 + Razor there are loads. I've found out which ones I actually need before but it is still confusing. Now if you publish using Web Deploy it will include those files as expected and your deployed solution will be happy once more. 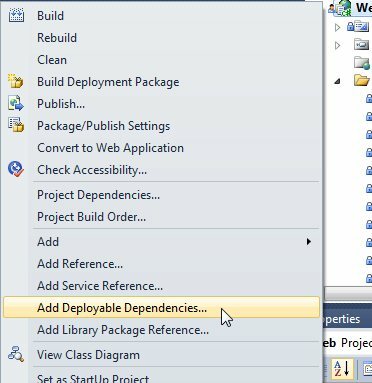 If you are not using the 'Web Deploy' as your publish method though - this will NOT work. You will need to reference the assemblies and make them bin deployable yourself. Thank you! This little bit of info: If you are not using the 'Web Deploy' as your publish method though - this will NOT work. You will need to reference the assemblies and make them bin deployable yourself. Saved me tons of head ache. FYI...the WebMatrix assemblies break your app when using Windows authentication. Any thoughts on "bin deploying" in 2012? 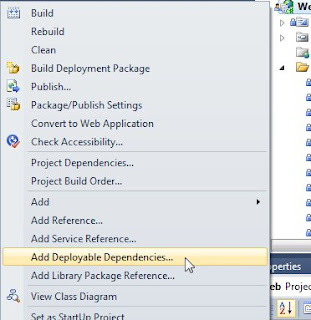 I understand "Add Deployable Dependencies" is not available in vs2012.